Jesus is the Vine. Stay connected to Him and be rich in all resources. The word of the Lord is not easy to carry out. It is not difficult for believers to say they believe in the Bible. But when it comes to application, some hesitate. But the Lord Jesus clearly stated that only those who obey and keep His words are His disciples. Only those who do the heavenly Father’s will may enter heaven. So what are we to do when it comes to such important matters? Can we choose not to do the difficult ones? The promise of God never changes. Neither does His standard. Just look at the way He instructed how the temple of God was to be built. Not one minute detail was missed out. 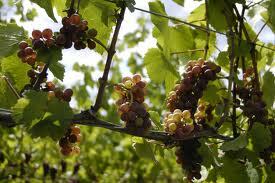 Next Post Fruitfulness: And their fruit shall be for food and their leaves for healing.